Homily: What Keeps Me From Love? Reading the Gospel this morning we need to be careful that we not draw an economic lesson from Jesus’ words to the young man: “If you would be perfect, go, sell what you possess and give to the poor, and you will have treasure in heaven; and come, follow me.” These words are directed to the young man personally and not to the Church generally; they speak to what is lacking in him not of what is required of all. At the same time, I ought not to dismiss our Lord’s words in the Gospel as if they weren’t applicable to me. 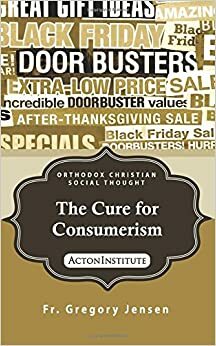 St John Chrysostom says that what Christ criticizes here isn’t “money itself but the wills of those who are taken captive by it.” While I may not have been called to a life of evangelical or monastic poverty, I have been called—as have we all—to follow Jesus wholeheartedly and without reservation. Now compare the young man to St Paul. Some indeed preach Christ even from envy and strife, and some also from goodwill: The former preach Christ from selfish ambition, not sincerely, supposing to add affliction to my chains; but the latter out of love, knowing that I am appointed for the defense of the gospel. What then? Only that in every way, whether in pretense or in truth, Christ is preached; and in this I rejoice, yes, and will rejoice” (Philippians 1:19-26, NJKV). Evil men, for evil reasons and at great cost to Paul preach the Gospel and the Apostle rejoices! He doesn’t begrudgingly acknowledge that even evil men can do good. Nor does he minimize the malicious intent that leads his opponents use the Gospel as a means to increase his suffering. No, Paul looks unflinchingly at the situation and rejoices! He thanks God and praise the that are spoken words even as he acknowledges the sinfulness of the speaker. Unlike the young man in the Gospel, Paul is generous of heart. He is generous in his love for Christ and in his hope that none “should perish but that all should come to repentance” (2 Peter 3:9, NJKV). And all of this is the fruit of the Apostle personal commitment to Jesus Christ. Living as we do in a religious culture deformed by an unhealthy individualism, we sometimes shy away from this language. Too often “personal” is setup in opposition to the life of the Church and Holy Tradition. And yet nothing could be further from the truth! For the Apostle Paul, and so for us today, a personal relationship with Jesus Christ presupposes not only the apostolic witness written in the New Testament but that same witness embodied in Holy Tradition, in the teaching passed down from generation to generation from the time of the apostles to our day. And above all else, a personal relationship with Jesus Christ means to live in the One, Holy, Catholic, and Apostolic Church. To be in a full sense a disciple of Christ means to live as a member of that community drawn out of the world and drawn together in Christ to become His Body. So what about the young man in the Gospel? Sadly, he seems to have loved his wealth more than Christ. When told what he needed to do to become perfect, he decided instead to follow his own will. His many possessions and the status the afford him matter more than eternal life. His sorrow is not the “godly sorrow [that] produces repentance leading to salvation.” It is rather “the sorrow of the world [that] produces death” (2 Corinthians 7:10 NJKV). The hard lesson of the Gospel this morning is this: I need to ask myself what death-dealing sorrow do I hold on to? For the young man in the Gospel, this was his many possessions. But what is it for me? What holds me back from surrendering my life fully and in love to Christ and His will for me? What is it that makes not a horrible sinner but which keeps me from being even a middling saint? In other words, what must change in me so that, like Paul, I can follow Christ so wholeheartedly that I rejoice in the salvation of others even when it seems to comes at my expense? This hard lesson is not the end of what we hear this morning. Left to only my own ability, sacrificial love is beyond me. But by God’s grace such love it is possible for me as it is for you. Let us brothers and sisters take the opportunity that Christ has given us today.